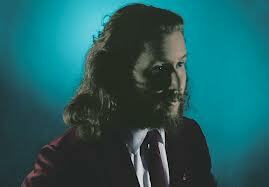 Jim James of Louisville's My Morning Jacket has a solo album coming out Feb 5 with the title, Regions of Light and Sound of God. (Not to be confused with his EP released under the name Yim Yames, 2009's Tribute To.) The video for the single, "Know Til Now," is the exact opposite of the busy cuteness of Hey Geronimo's "Dreamboat Jack" in the last post but has over 50,000 views as well. It shows James with his back turned, in heavily manipulated black and white footage, gesticulating carefully to the far wall. For a long song (almost six and a half minutes), this lends itself to allow the listener to take in the music on its own without distractions of sound effects, etc. But the question remains, is the video effective as a marketing tool for garnering new fans? "Know Til Now" has been receiving good airplay and I've already added it to my next playlist. This bass-heavy, psychedelic R&B replaces any crunch guitar swagger of My Morning Jacket's group ethic. Reports claim James not only played every instrument, but engineered it all himself. By embracing soul and funk leanings, he carves out new territory as a musician. Check out the lyrics and track list for the album below, along with the video as discussed.